When purchasing car insurance, there can often be a lot of choice available, with many levels of cover on offer and various optional cover elements which need to be considered. This car insurance guide aims to explain certain elements of car insurance which may help you when you come to purchase your policy. There are three types of car insurance cover available - comprehensive, third party fire & theft and third party only cover. personal accident, which pays out a small sum if you or someone in your car is seriously injured or killed. Comprehensive car insurance offers greater cover for unforeseen events and greater piece of mind, given the inclusion of cover for accidental damage to your own vehicle. Injuries to your passengers and people outside your car. Third party, fire and theft cover provides the above as well as cover for your vehicle in the event of it being stolen or damaged by fire or by attempted theft. Choosing third party fire and theft over a more basic third party policy will still result in lower premiums than comprehensive car insurance, but will provide greater cover in case of a real emergency â€“ giving more peace of mind than third party insurance alone. A motor insurance policy is an annually renewable contract. A no claims discount (NCD) is a reward for not claiming on the policy during the previous 12 months. The discount level rises for each consecutive 12-month period in which you have not made a claim, and is transferable if you switch to another insurer. You usually need to be claim-free for five years to receive the maximum discount, which is typically around 65%. If you manage to accrue the maximum no claim discount, an insurer will generally offer the chance to protect it for a small fee. This feature is known as 'protected no claims discount' and means that you will not lose your no claims discount if you make a claim under your policy that is deemed to be your fault or where your insurer cannot recover the costs of the claim. However, you should be aware that there will be a limit on the number of claims allowed over a certain period and therefore, it is important to check the details of a policy. Some insurance providers also offer 'guaranteed' no claims discount protection, which means they will not reduce your NCD, irrespective of the number or type of claims made under the policy. Uninsured loss recovery (ULR) cover (sometimes sold as 'legal expenses') is usually provided as an optional car insurance feature, although there are a number of policies that include cover as a standard benefit. It allows you to seek legal representation to recover losses not covered by your policy, for example personal injury or the excess that you may have to pay when you car is repaired. Many car insurers now include breakdown cover as part of their policies, either as an optional extension or as a standard benefit. The most common covers available include: 'roadside assistance', 'recovery' and 'home service'. 'Roadside assistance' provides help and assistance at the roadside to get your car repaired so that you can continue your journey. 'Recovery' services will recover your car if it cannot be repaired at the roadside, towing it to the nearest garage or your home address. 'Home service' includes cover should your car breakdown at your home address. European breakdown cover is also available with some car insurance policies and will provide breakdown insurance when you take your car abroad. Similarly, if a tracking device is fitted to your car, an insurer may provide a discount. If you are able to park your car in a garage or car park, your premium may be lower. If you are married and your spouse can drive, add them to your policy, as typically the premiums charged are lower than for just yourself driving. 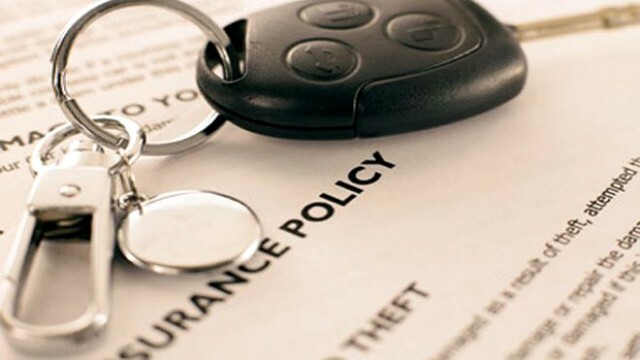 If you have more than one car, check whether the provider offers a discount for insuring the second car. Similarly, if you have other insurance (such as your home insurance) with the same insurer, ask if they provide a discount. Many insurers will provide a discount if you feel comfortable with purchasing cover online, but be careful, as insurers often compensate the loss in premium by applying a higher compulsory excess. Shop around as insurers are always willing to provide better deals.